Essaouira, 모로코의 메종 뒤 쉬드 | 호스텔월드에서 예약하세요. 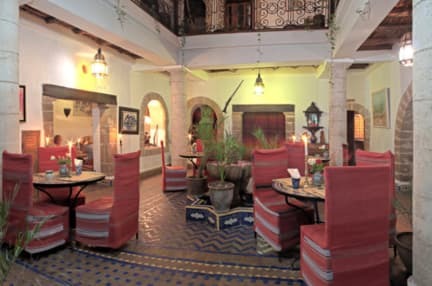 We offer 24 custom-designed guestrooms, many of wich are split level suites including Moroccan salonsl all rooms are furnished in traditional style of Moroccan carpets, artwork and textiles and range in size to accommodate singles, doubles or parties of four. The rooms and suites open on a light-filled interior patio with pretty tiles. Some of them are located on a mezzanine floor with a little snug sitting room. 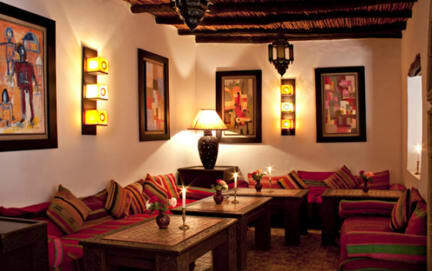 Moroccan meals are served on request. Everything one could need for a lovely holiday is available in this pretty house.